A typical conversation with a Belizean about what they think makes Belize so great will eventually lead to the point being made that it’s Mother Nature’s best-kept secret and a haven for sustainable tourism. Further investigate why and you’ll hear about the historic Mayan Ruins, the miles of untouched jungle, the birds, the great barrier reef and practically every other highlight there is to know about Belize. In addition to all the talk of natural resources, we’re sure you’ve heard us speak of the commitment from Belizeans to be as green as can possibly be. “Ecotourism” and “sustainable tourism” are terms used to describe tourism that focuses on preservation and appreciation of a country’s flora, fauna, ecosystems and culture. Belize is quickly becoming a known destination for the sustainable Eco-tourism movement and, undeterred by its small geographical size compared to other countries in the region, Belize can proudly boast having one of the greater percentages of land mass dedicated to preserves, natural reserves and national parks. Notwithstanding, there’s always room for improvement, especially areas where humans traffic most and come in contact with. 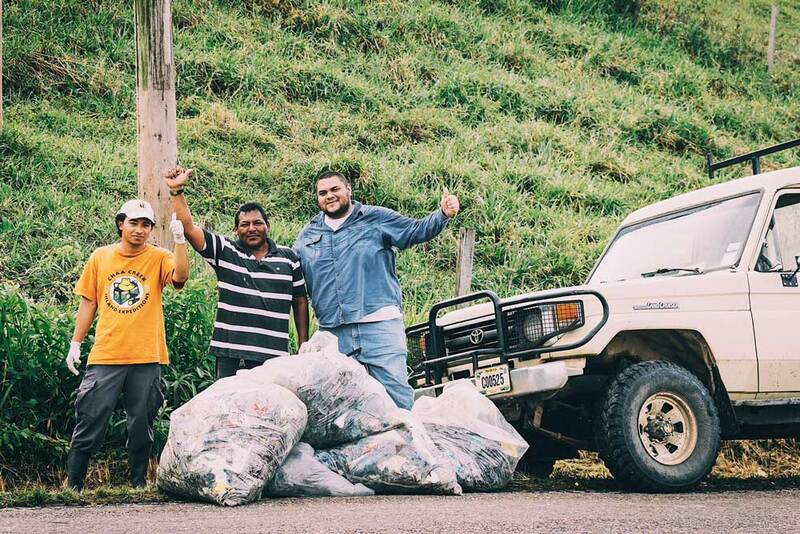 It is with this fact, the BTIA Cayo Chapter decided to organize its first CAYO GO GREEN Clean-Up Campaign, inviting 3 of its members from the area deemed most in need. The results were more than satisfactory, and gives precedence to a larger movement the BTIA Cayo Chapter hopes to lead. 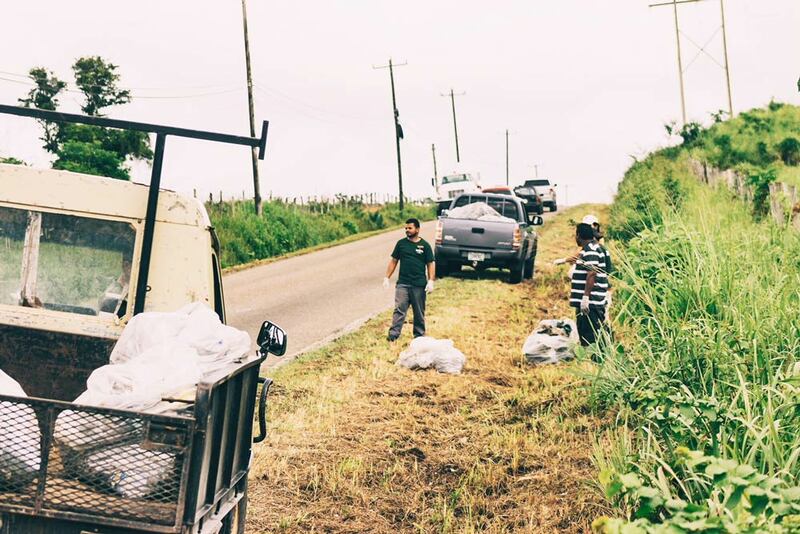 In that spirit, the Cayo Chapter of the Belize Tourism Industry Association organized their first ever (at least in recent memory) highway clean up aimed at reducing the amount of garbage seen on the roadside between San Ignacio and Benque Viejo Town near the westernmost border. Along with BTIA Cayo Chapter chairman, BTIA members The Lodge at Chaa Creek, Black Rock Lodge, and Ka’ana Resort sent some of their own to assist in the effort near the worst perceived sites. 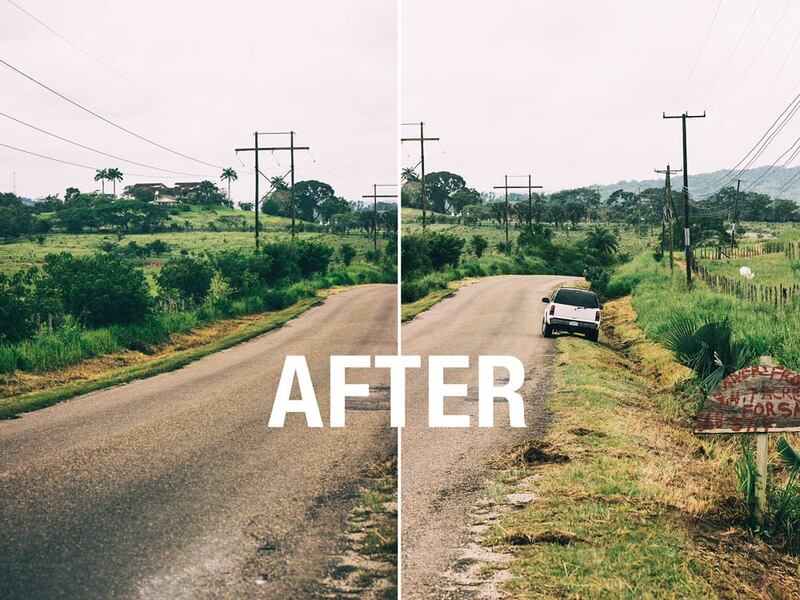 Recently the local government agencies had trimmed down the overgrowth that bordered the sides of the highway, which in turn revealed something that was both concerning and overbearing. 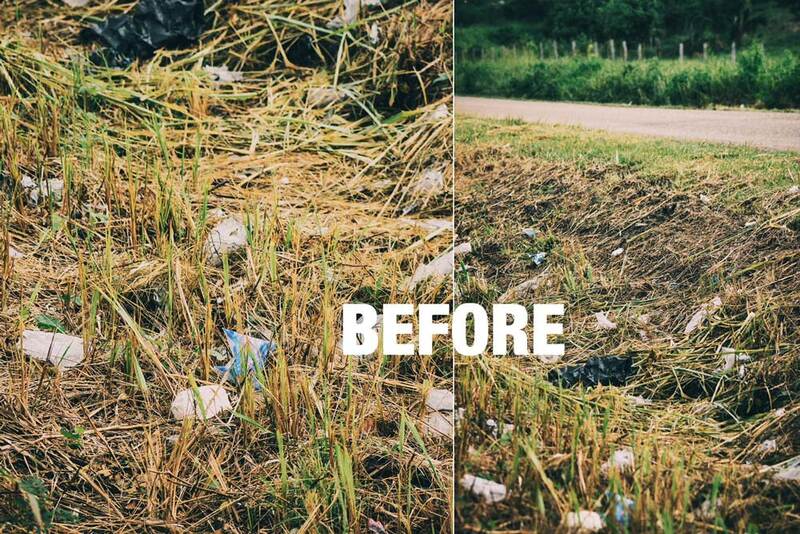 Even with some of the toxic materials being deposited on the roadside, plant life grew to cover and envelop the litter, thriving despite an unhealthy environment. 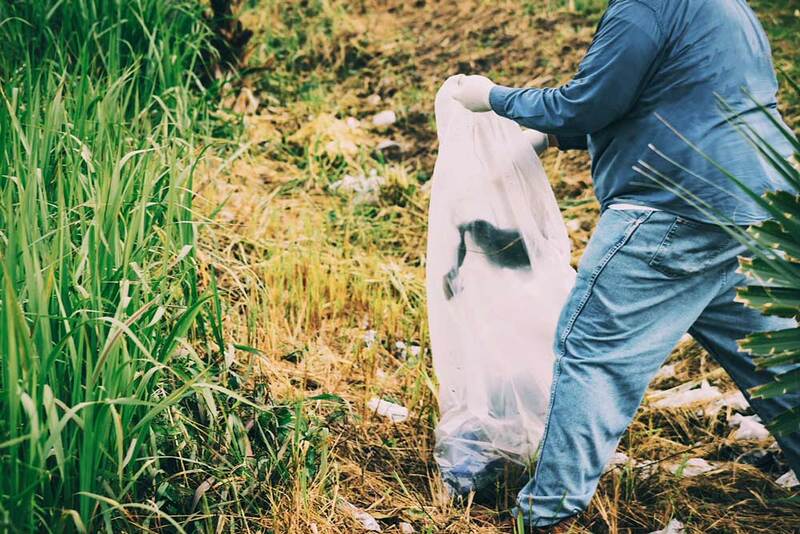 A double-edged sword – the average person would look and see no garbage and could, thoughtlessly let slip a plastic wrapper, or piece of paper since it doesn’t seem like that big a deal – it’s clean otherwise. Cue the eye sore – strip away the overgrowth, and you learn just how bad a single thoughtless moment can become when everyone has one. 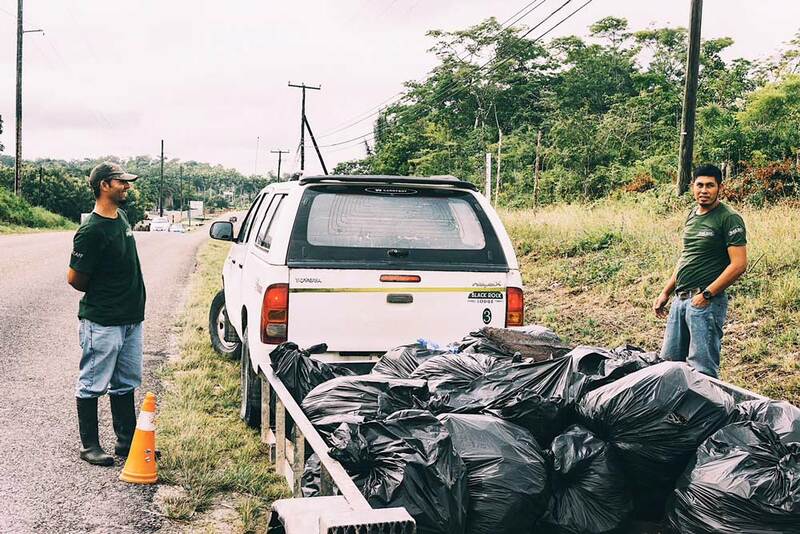 On a more positive note, the valiant efforts by Saturday’s volunteers – who weren’t deterred by rain, shine or garbage helped to upkeep our picturesque mental image of home. Kudos to BTIA Cayo Chapter for leading this initiative and to the volunteers who lent their time and effort to an extremely worthy cause. The hope for this project? 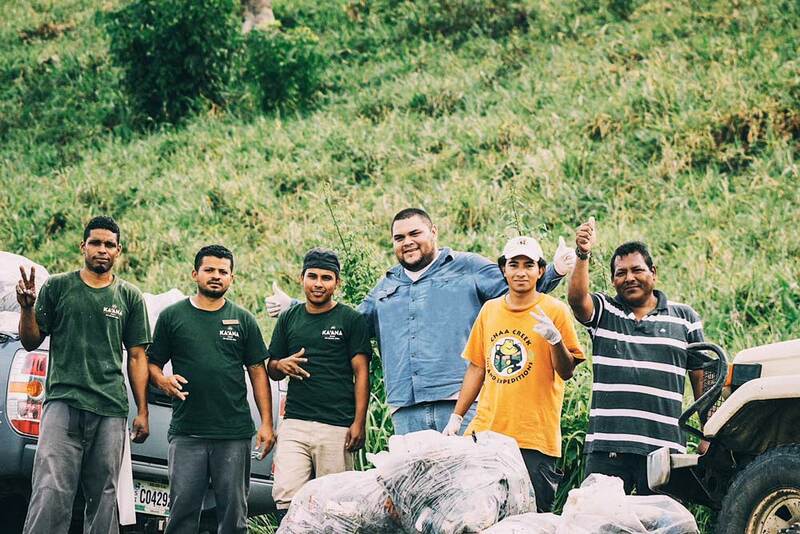 That next time more teams join – enough teams to clean up the entire 8 mile stretch of road between San Ignacio & Benque Viejo Town. The longer-term goal? To remind everyone in Belize that together we can make a valuable difference and notable contribution! Interested to get in on the action? Check out BTIA Cayo Chapter for updates! How do you help to keep your home or community clean? Let us know in the comments!